As soon as you have been arrested for drunk driving, it is in your best interests to contact Fronstin Law. We are experienced and dedicated DUI attorneys. DUI charges are not only very serious, they can be extremely stressful, upsetting and even humiliating. If you have been arrested for DUI, you are probably wondering what will happen to your car, your license, your driving privileges and your record. You need to act quickly. The sooner you speak with a lawyer who knows exactly how to handle these types of cases, the sooner your case can be evaluated and your defense can be built. Our DUI defense is solely dedicated to providing aggressive and comprehensive defense to individuals throughout Florida who have been charged with drunk driving. Our attorneys specialize in drunk driving defense cases. Nobody expects to be pulled over and arrested for a DUI. Though it can be an extremely stressful situation, you must keep your rights in mind. You have a legal right to speak with an attorney and it is in your best interests to exercise that right. When you speak with a DUI lawyer, you will be able to get the counsel that you need to ensure that you do everything you can to protect your rights and freedom. When you have been arrested for or charged with DUI, law enforcement and investigators will question you regarding the situation and attempt to get information from you to use against you in court. This is typically accomplished through various drunk driving tests, including field sobriety tests, breathalyzer tests and blood tests. The officer's observations of your behavior and any statements you make may also be used against you. When you speak to law enforcement, everything you say can and will be used against you if your case goes to trial, making it very important to remember your rights. Before telling law enforcement anything, it is vital that you first contact an experienced attorney. 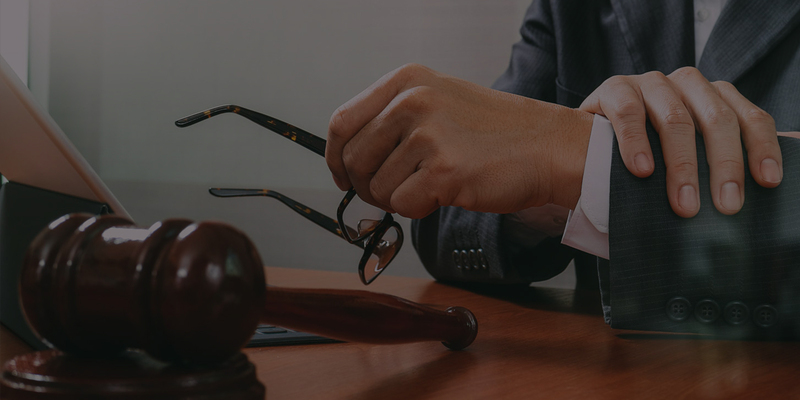 It is your right to have an attorney with you, and at our firm we can ensure that you will have the chance to tell investigators only what is absolutely necessary, to help your case have a significantly improved chance of obtaining a successful conclusion. A DUI conviction can very seriously and negatively impact your life, especially if you have prior drunk driving-related convictions on your record. A second, third or fourth DUI will have a tremendous impact on various areas of your life, due to the harsh penalties enforced for multiple DUI offenses. With the help of an experienced and knowledgeable legal professional to challenge DUI testing and evidence, you could greatly increase your chances of avoiding harsh and unnecessary penalties. When you are looking for a DUI attorney, it is important to keep in mind experience and success record. The attorneys at our firm are fully prepared to utilize their over 30 years of combined experience in the area of DUI defense in order to give you the best chance at success in your case. Your driving privileges and rights are important to you and they should be equally important to your attorney. We understand the ins and outs of the DUI court process and DMV hearings alike and use this experience to protect our clients' licenses while helping them avoid jail time, heavy fines and other criminal penalties. 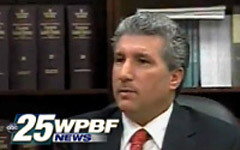 Just as no two individuals are the same, no two Florida DUI cases are the same. At our law firm, the attorneys believe in approaching each case as its own unique situation. Your attorney will work with you to evaluate your case and craft a tailor-made defense on your behalf. Your needs and concerns should be important to your attorney and that is why the DUI team will work closely with each and every client to ensure that each case is treated with the consideration, dedication and respect that it deserves. After your arrest, you probably have many questions and concerns. We will work to provide you with the information that you need about the criminal case, the DMV hearing that your attorney will assist you with and all of the other related factors and elements of a DUI defense case. Your DUI lawyer at our firm is aware that you are not an attorney and that you may not necessarily know or understand what will happen to you throughout the process. The legal team will stand by you and walk you through every step. We understand the particular intricacies associated with these unique cases and can provide comprehensive legal counsel accordingly. Our firm can also offer you information on DUI expungement if you have already been convicted and can offer insight into license suspension stemming from a refused breath test. No matter your concerns, questions or particular needs, we are confident in our ability to offer you the help you need. The Law Offices of Guy Fronstin since inception in 1996 has regularly handled investigations and cases involving white collar crimes and business crimes. Visit us at The Expungement Clinic to clear your record.